At B Well Family Chiropractic, we utilize an advanced chiropractic technology that scans your spine and delivers a computerized image of the stress and tension to your nervous system. Two different technologies give us (and you) an objective assessment. 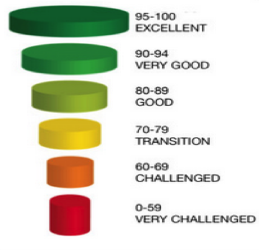 HRV is quickly becoming the gold standard for measuring cardiovascular health. This technology is a global measure of how stressed the brain and nervous system are. It indicates the amount of autonomic reserve and resiliency the nervous system contains to deal with the abundant amount of stressors in today’s society. This measures temperature. 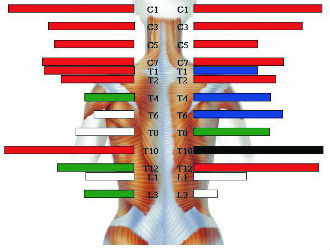 When there are disturbances to your nervous system along the spine, there are often temperature differences from side to side due to inflammation and changes in blood flow. A thermal scan is non-invasive and reveals the condition of your autonomic nervous system controlling your organs, glands and circulatory system. 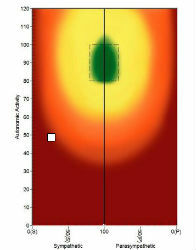 The COREscore(TM) is computed by combining the scores from Thermography, Surface EMG, and HRV. It is an overall score of how efficient your brain and nervous system are functioning. You can think of it as your health report card. The scores range from 0-100, and much like a report card from school, 90-100 is equivalent to an A, 80-89 is equivalent to a B, and so on. We don’t guess about stress, we TEST! After gowning, we will first measure your HRV. We do this by placing your fingers in a highly advanced instrument for five minutes. Following this, we will run a state-of-the-art infrared instrument up the back of your spine to measure the temperatures from side to side. Next up is surface EMG. 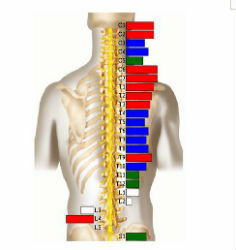 We collect this information by placing cutting-edge sensors on the muscles surrounding your spine. These procedures are completely non-invasive, and emit NO radiation. To learn more about the Subluxation Station or any of our services, contact us today to schedule your appointment.